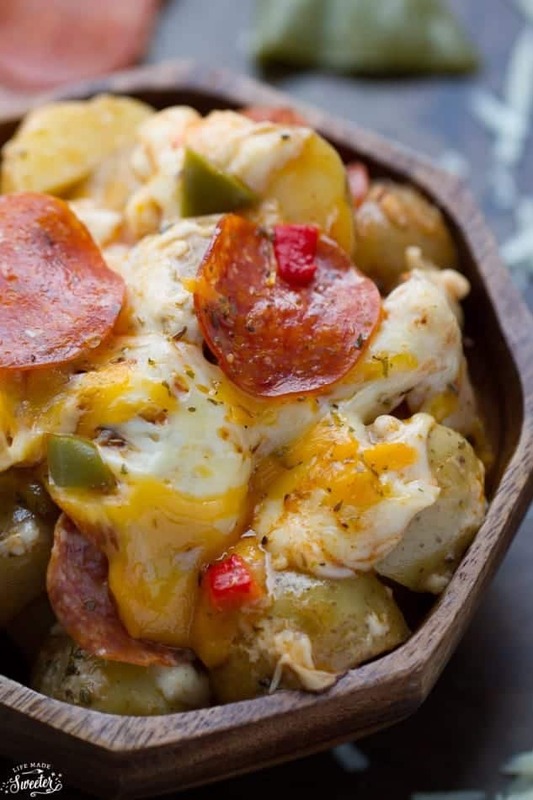 Slow Cooker Pizza Potatoes make the perfect party food or fun weeknight meal! 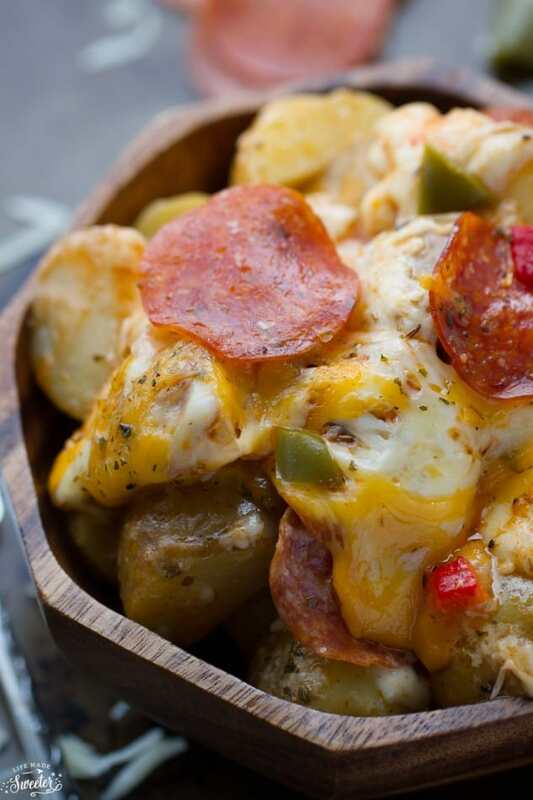 Tender potatoes covered with gooey cheese and everything you love about pepperoni pizza. Today’s the big game! 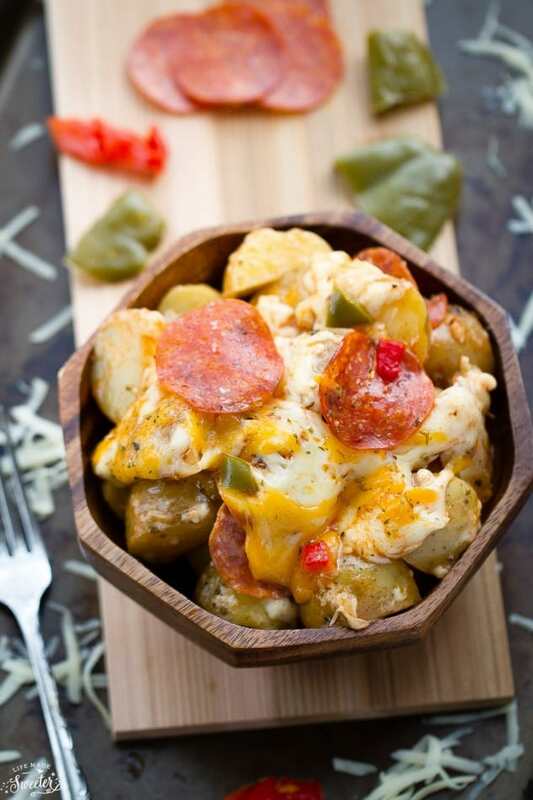 If you’re still looking for something quick and tasty to add to your menu, these Slow Cooker Pizza Potatoes would make a great gluten free addition to your line-up! They’re are a fun twist on those classic stuffed potatoes that you see at most football parties — and have all the gooey goodness that you would put on a pizza, layered over tender slow cooked potatoes instead. 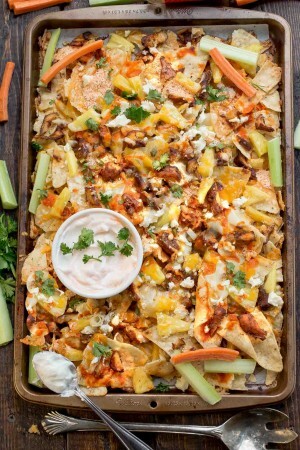 They’re also super easy to make with just 10 minutes of prep and practically no mess involved if you use your slow cooker. 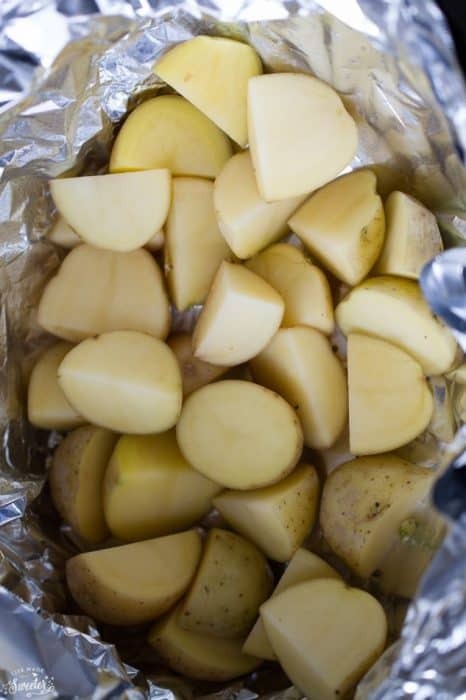 Just line the inside with some foil and toss your potatoes in. 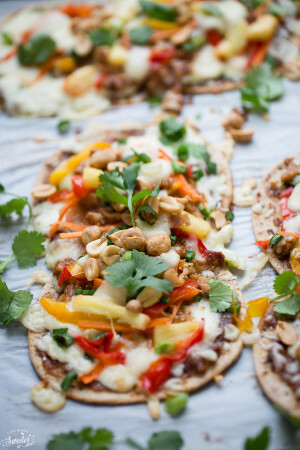 Layer with your favorite pizza toppings and just set-it and forget it! 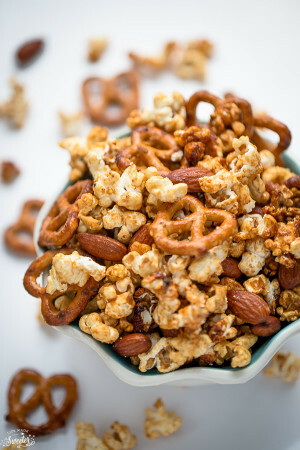 You can totally customize the toppings to whatever you have on hand too. Leave out the pepperoni for non-meat guests or use pre-cooked chicken or mini meatballs instead. 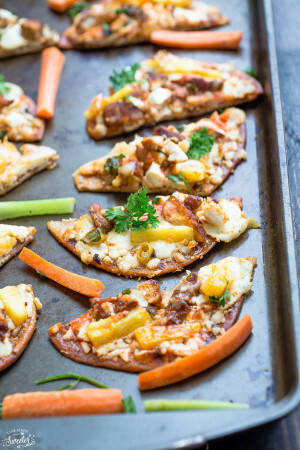 They make a colorful and delicious appetizer, weeknight meal or side dish and perfect for guests looking for a gluten free or grain free option. Line slow cooker with foil and spray lightly with cooking spray. Add one layer of potatoes then top with half of the pizza sauce, half of the pepperoni slices.and half of the mozzarella cheese. 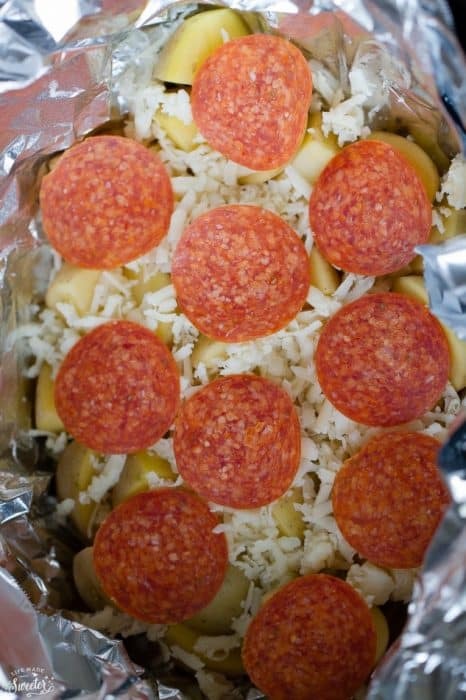 Add another layer of potatoes and top with remaining pizza sauce, pepperoni slices and shredded cheese. Cover and cook on high for 1 1/2 - 2 hours or low for 3-4 hours or until potatoes have softened and cheese has melted.